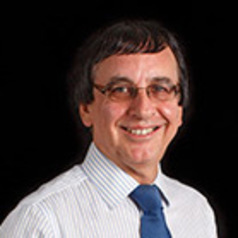 Robert Jupe is Professor of Accounting and Public Management at Kent Business School. He worked as an accountant in the civil service before becoming an academic at Kent. He has a degree in Philosophy, Politics and Economics from Oxford University, and a PhD from Kent University. A large part of his public sector research has focused on the threats that have arisen from public sector reforms, including privatisation and deregulation, over recent decades. He has written extensively on the origins and consequences of Britain’s fundamentally flawed privatisation of the rail industry, and on how New Labour’s Third Way approach to public services led to the increased marketisation of the state. The consequences for rail in particular have been a large increase in subsidy for private companies, combined with a blurring of accountability for an important public service.